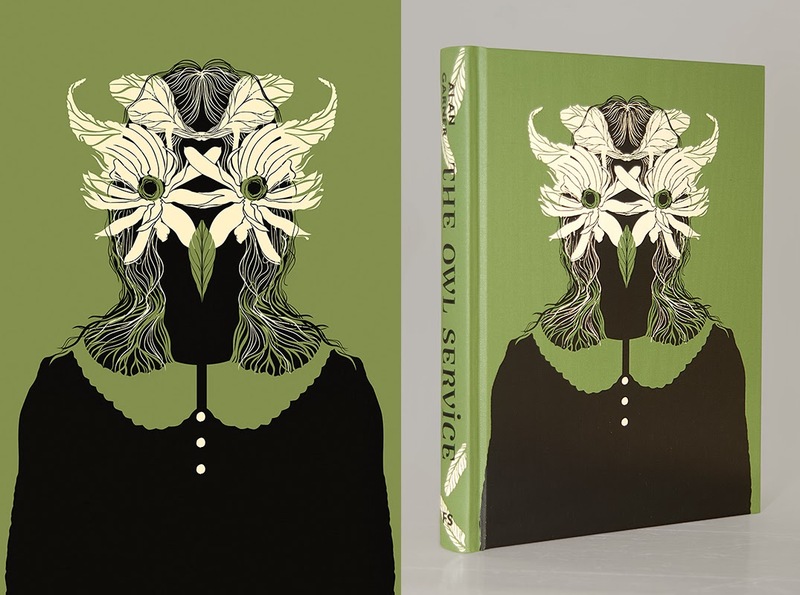 Here are five of the interior illustrations I produced for the Folio Society edition of The Owl Service, there were 8 in all including the frontis piece. They are best viewed in situ though, in the book, Folio books are just such beautiful objects! Sometime in my murky past I read a book called Automated Alice by Jeff Noon, it is testament to the Author to say I thoroughly enjoyed it because I have been known to be rather fierce in my opinions of Alice in wonderland / through the looking glass adaptations and sequels. I am quite protective of those books, they are amongst my most loved stories. So I was delighted when Arc magazine asked me to illustrate a short story called Vapours by Jeff Noon for the forthcoming Arc 2.1. It was a good one too! 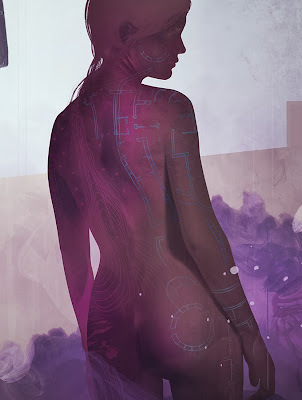 it's not often I get to illustrate a naked purple lady but I am always happy when I do. 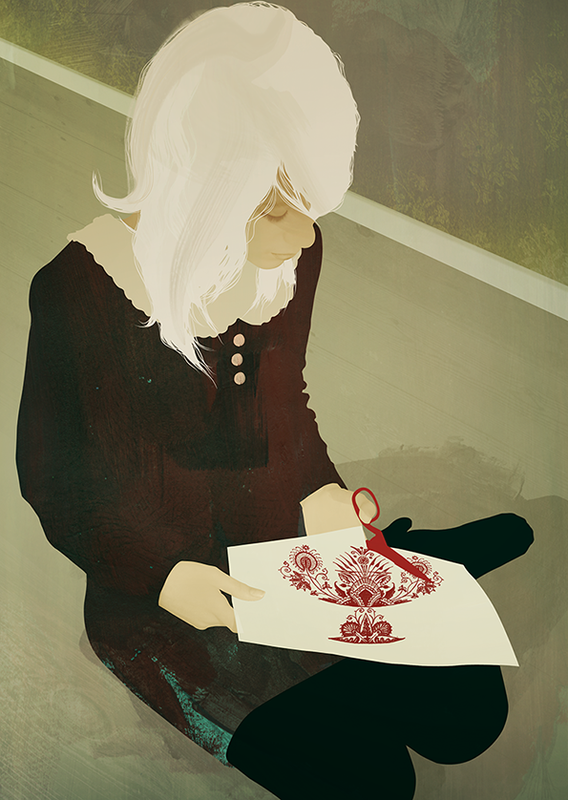 Late last year I was commissioned to illustrate a book for the Folio Society. I am a fan of the their beautiful publications they have produced some wonderful editions with some wonderful illustrators so while fifteen years in illustration have helped me in confidence I can't deny I was a little nervous when an e-mail dropped into my inbox titled 'Folio Society job for you'. 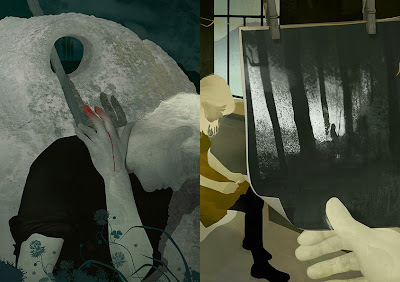 The process of producing a Folio book is unlike any other publishing work I have done but thanks to my Art Director and Editor it turned out to be a thoroughly pleasurable experience, they worked with the lightest of touches and I really felt I had room to interpret the book in my own way. While in recent years I have found the Art Directors I work with leave me to my own devices to interpret briefs as I wish this is still unusual for me in book publishing so I was delighted at the amount of freedom I had, just the appropriate nudge from time to time. The book I was asked to illustrate was The Owl Service by Alan Garner. It was not a book I was familiar with but after a day reading it I knew Folio were also adept at placing the right story with the right artist. It was very much my 'thing' dark, surreal but landed in the everyday. Perfect! Mr Garner I hope I did your strange tale justice. 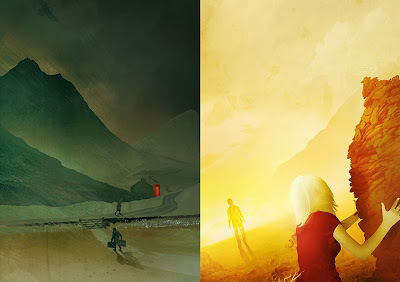 I have posted the cover and the frontis piece here. The cover in particular took me away from my usual approach, I wanted to take advantage of the block print and was limited to two colours and the cover material. This turned out to be a really nice limitation, I chose to drop any photographic elements for this and hand draw the whole thing as I felt it would work well with the flora and give me control over the thickness of the lines which was important. I will post some of the interior illustrations soon! What happens when your art director is 8 years old? you get a brief with a purple mutant turtle and find yourself immediately out of your cozy little comfort zone that's what. In celebration of their 30th birthday my agent Central Illustration are holding an event at the V&A Museum of Childhood and have handed out briefs written by children to more than 30 of their artists. Here's a tiny preview of my mutant turtle to see the full A3 image along with all of the others pop along to the V&A this Saturday where as well as the pre briefed works 12 artists will be drawing live!